. There is also a growing body of evidence suggesting that glycoclusters, when properly designed, showed increased affinity. 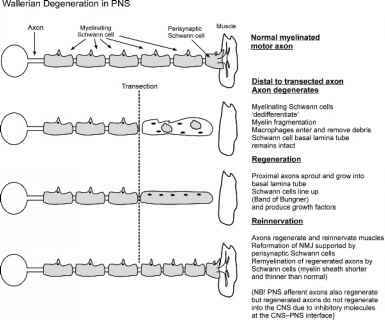 Given the observations and interpretation by Whitesides et al. that steric stabilization (i.e., wrapping of virion particles by sialopolymers) may be responsible for some of the observed increased affinity, it appeared tempting to combine the best of the accumulated observations to build dendritic-like glycopolymers. Such glycoforms already exist and were described in 1995 [113,114]. A fascinating example has been proposed by Fan et al. , who chemoenzymatically synthesized a dendritic mannoside (9-mer) ending with an j -acetylglucosaminide acrylamide derivative. The dendrimer was built by the transglycosylaiton of an asparagine, Man9GlcNAc2Asn glycopeptide, obtained by pronase digestion and transferred onto the GlcNAc monomer by means of the endo-^-V-acetylglucosaminidase isolated from Arthrobacter protophormiae. The resulting multiantennary copolymer was a better ligand than soybean agglutinin toward a recombinant rat mannose binding protein (MBP). An analogous strategy has been used by Furuike et al. in the synthesis of an acrylamide-ending V-acetyllac-tosamine trimer that had been copolymerized with acrylamide. In a recent attempt to generate nontoxic polysialosides that would be powerful influenza flu virus hemagglutinin inhibitors as well as inhibiting infectivity, we synthesized the novel nanostructures shown in Scheme 16 . To this end, poly(ethyleneimine) was used as scaffolding for the attachment of 4-isothiocyana-tophenyl sialoside (deprotected 26) to give "classical" randomly substituted copolymers such as 75 (Scheme 16). The poly(ethyleneimine) (PEI) backbone was prepared by leaving-ring-opening cationic polymerization of 2-ethyl-2-oxazoline, with methyl tosylate as an initiator and morpholine as a terminator, followed by acid hydrolysis . Alternatively, the secondary amines of the poly(ethyleneimine) were used as initiator for the second-generation cationic polymerization , which after sialoside conjugation gave comb-branch (G0) structures 76. For comparison purposes, PAMAM dendrimers having partial amine substitutions and interspacing hydroxyl groups  were prepared according to our published protocol (Scheme 14) to provide structures such as 77. Rod-shaped, cylindrical dendrimers synthesized by means of the PAMAM reiterative strategy onto PEI backbone  were also used to prepare dendritic copolymers like 78. Finally, use of hyperbranched PEI/PEI backbones gave dendrigraft structures 79 (PEI G1-G3). Preliminary results showed comb-branched (76) and dendrigraft (79) to be the most effective sialopolymers made to date (50,000-fold better than the monomer). They also blocked infection of mammalian cells in vitro. The results also varied significantly with various strains of influenza A (H2N2, X-31) and Sendai viruses. 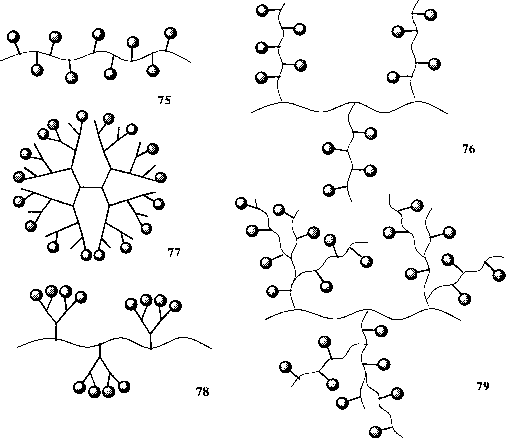 Scheme 16 Schematic representation of novel hyperbranched glycostructures illustrating: regularly interspaced ligands onto poly(ethyleneimine) backbone (75), comb-branch (G0) structure (76), interspaced spheroidal dendrimer (77), rod-shaped, cylindrical polymer with dendritic branch (78), and dendrigraft (79).